Gladstone Regional Council said China's ban on importing foreign waste has minimal impact on the region. THE Gladstone Regional Council will not follow a south Queensland council's move to dump recyclable waste in landfill in the near future. The Ipswich Council announced on Wednesday all recycling would be sent to landfill as it tried to grapple with China's ban on imported recyclable products. But China's restrictions will have minimal impact on Gladstone, Rockhampton, Livingstone and Central Highland councils until December 2019, because of the council's recycling contract with Orora. A council spokesperson said Orora had a sales model that places a greater emphasis on the Australian market and was less reliant on sales to China. "However, it is likely that there will be future effects that will need to be factored into council's recycling service plans and council will address those issues as they arise," they said. "At this time council has no intention to conclude its domestic, commercial and industrial recycling services and is, in fact, continually working towards achieving greater environmental and financial sustainability within its processes." The spokesperson said the local government impact from China's waste decision would vary based on the sales models with Queensland councils' contractors. 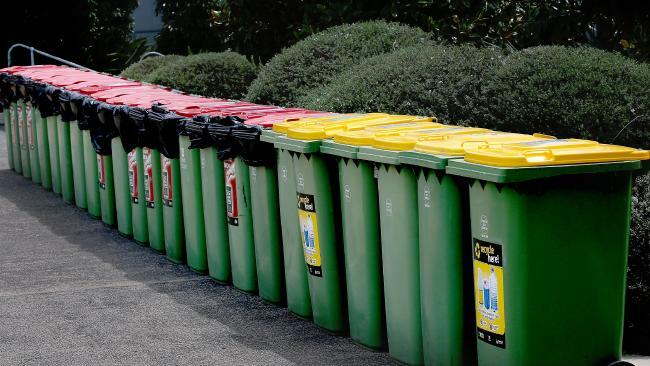 The Ipswich Council was notified by its recycling contractors it would have to pay an extra $2million each year for recycling to continue - which could have led to a rate rise of between 1.5 and 2 per cent. The contamination level of the city's recyclables was also branded unacceptably high, with about half of everything collected from yellow bins deemed non-recyclable. The Local Government Association of Queensland has warned Ipswich would be the first of many to go down this path amid concerns about the cost of recycling.